Strut cutting and assembly is an essential part of most electrical installations. Struts are primarily used for its support and versatility, so they should be built with reliable durability and consistent quality. 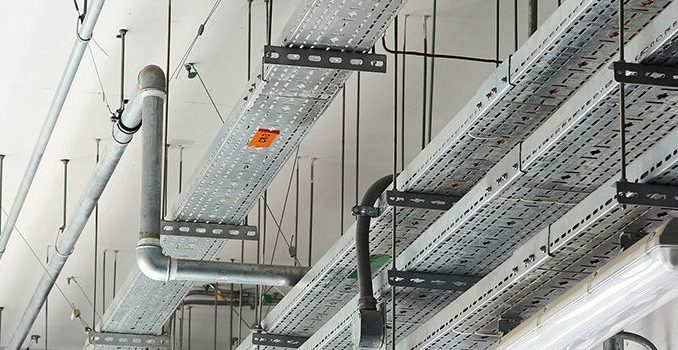 Complex electrical systems that snake through a wide area and involve multiple functions require a sturdy and flexible strut assembly for stable support. Where you acquire your struts and how they are made will eventually define how well and for how long your system stays intact. Cutting struts to the right style and size can be done manually or through a fabricating plant. There are different types of tools available for doing this on your own, depending on your requirements and budget. Ordinary Hack Saw is often used for trimming struts to the right size. This is a reliable way of cutting channels accurately and safely. But this manual method takes time and energy, both of which are costly manpower or resources. Electric Band Saw works faster than the ordinary hack saw, without sacrificing accuracy of the cuts. It does leave the edges a little rough or burred, which could also require additional trimmings or deburring. It also takes a little more precaution to keep safe around rough edges and machines. Cut-off Saw is also fast and efficient for cutting struts. Cut-off machines with low revolutions per minute (RPM) and abrasive blades are usually the most effective choice for the job. The downside is that effective and efficient tools like this cost a good amount of investment. Power Table Saws is usually a fast and efficient cutting tool, but when used on struts the powerful carbon blades often leave large burrs around the edges, which makes the finished struts unsafe for handling and daily use. Hole Drilling, when done improperly, could cause large or incorrectly placed holes, which could ultimately lead to structural weaknesses that threaten your structure. Torch most importantly, avoid using torches for any strut cutting and assembly job. Aside from being dangerous for structural weaknesses, it also quite inaccurate and unsafe compared to other tools. This is a method that is not recommended for cutting jobs, although it is still used in practice. The problem with all these tools is that they take up space, require someone to man them fulltime, and cost your company a good sum of capital to acquire. For electrical service providers, strut cutting is not even part of the main product offering and is more a time-consuming value-added service rather than the main service with a steady stream of revenue. In a prefabrication facility like USESI’s Stoughton, Massachusetts, more advanced strut cutting and assembly machinery are available for use whenever you need them, with certified technicians to guide your team in customizing your strut components or to do the entirety of the work themselves. You won’t have to worry about site safety, consistently of quality, and boneyards of scrap to dispose of. On top of that, you get cost-savings by not paying for labor, space, and materials that you don’t actually use.